Last week I appeared on the popular YouTube channel The Right Media to discuss human flourishing, climate, and The Moral Case for Fossil Fuels. You can view it here. On Monday morning in Palm Desert, CA I delivered the keynote for the 70th anniversary of the Independent Lubricant Manufacturers Association (ILMA). I delivered a variation of my “Energy Heroes” speech, discussing how those who transform oil into fuel and lubricants are not creating a “necessary evil” but a superior good. Here is a tweet from ILMA with some images from the event. 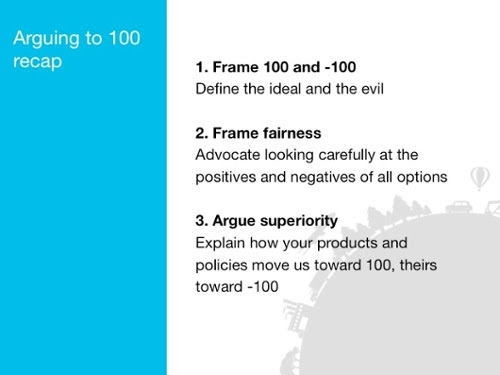 I shared my “Arguing to 100” persuasion framework on a wide range of issues, from carbon taxes to environmental reporting to fracking. For readers involved in the financial side of the energy industry. 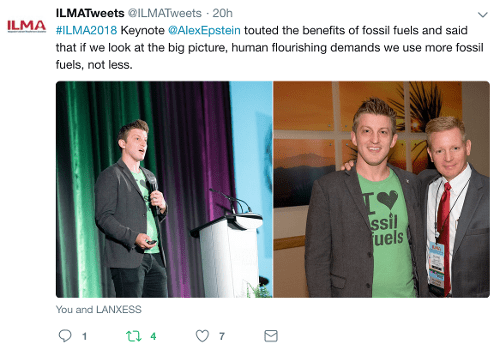 The demands for ESG climate “reporting” are a brilliant strategy by the anti-fossil fuel movement to harm your company’s valuation now and to destroy it in the future—all in the name of accurate reporting. But if you respond to their calls for accurate reporting, not with the biased reporting they request but with full-context reporting, you can promote a positive narrative that helps your valuation. On the latest episode of The Human Flourishing Project I discuss lessons I’ve learned from the podcast so far and ask listeners to answer four questions to help me improve the show. If you’ve been listening to the podcast, could you email me your answers to these questions? 1) What have been your 3 favorite episodes and why? 2) What topics would you like me to cover more? 3) If you could get more access to me for coaching or Q&A, what would you most want help with? 4) Anything else I should know to make the show more useful to you?